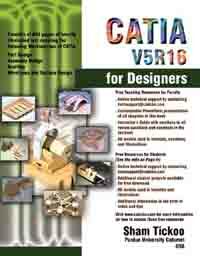 CATIA V5R16 for Designers introduces the reader to CATIA V5R16, one of the world's leading parametric solid modeling package. In this textbook, the author emphasizes on the solid modeling techniques that improve the productivity and efficiency of the user. 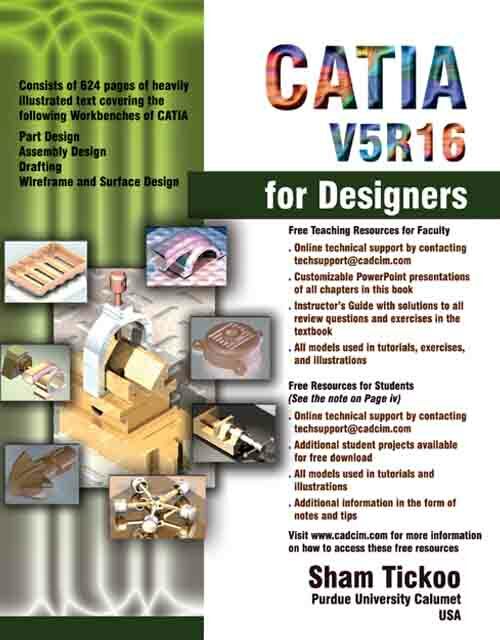 This textbook consists of 13 chapters structured in a pedagogical sequence, covering the Part, Assembly, and Drafting workbenches of CATIA V5R16. Every chapter begins with a command section that provides detailed explanation of the commands and tools in CATIA V5R16. The command section is followed by tutorials that are created using these commands. This approach allows the user to use this textbook initially as a learning tool and then later use it as a reference material. Note: These files are created in the Educational Version of the software and so cannot be opened in the Commercial Version.